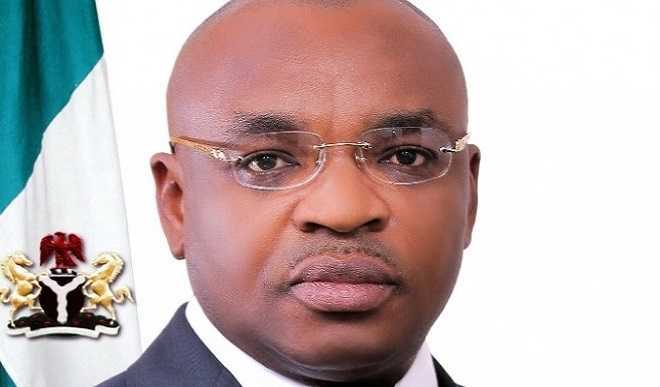 Governor Udom Emmanuel of Akwa Ibom State has said that his administration will establish a ranch in Uruan area of the state that would accommodate about 2,000 cows to be imported from Mexico. The governor made this known at the flagg off of an improved cassava stem plantation with the aim of crashing the price of garri, a local food made from cassava tuber. He said the process of acquiring the cows was underway and his government would ensure fresh milk for Akwa Ibom people as against evaporated milk. “Fresh milk is more nutritious and will enhance good health and growth among the people of the state,” he said, adding that consultants were working hard to get the projects started. The cassava plantation, located in the Okobo Local Government Area of the state, is among the pet projects of his wife, Mrs Martha Udom Emmanuel. The governor said he was putting in place a framework that would ensure “we can actually turn around and feed ourselves,” saying agriculture remains the highest employer of labour. He commended his wife’s project, FEYReP, for taking an initiative aimed at ensuring availability of garri for the populace. Mrs Martha Udom Emmanuel had earlier said that the project was in line with her husband’s initiative of returning people to the farm and enhancing food sufficiency in the state. She thanked the Ikono -Offi/Nsie community for providing land for the project and assured that with the project, the price of garri in the state would crash substantially.